What if there was nowhere to look? What if it was not the things you thought it was? What if you were able to let go of the chase? What if it was something that just is, and all you need to do is receive? 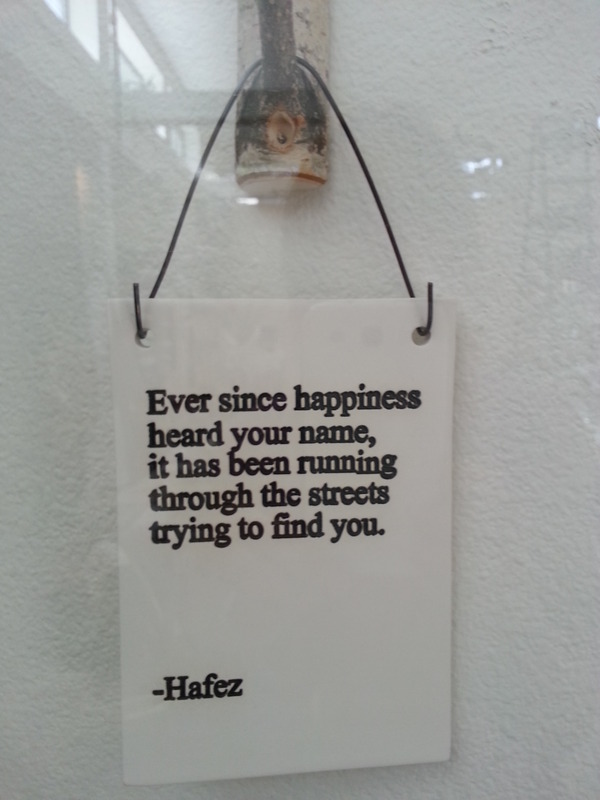 This week, ponder the above questions and especially Hafez’s quote. Keep this quote where you can see it. Let go of the search, and how you think it should be. What does it mean to let happiness find you? Another terrific thought to keep in mind. Love the quote!